On Oct. 13, 2016, Westminster College welcomed the Right Honorable Lord Alan Watson of Richmond, an award winning BBC broadcaster and former President of the Liberal Party, to campus. Watson was joined by Churchill’s granddaughter Edwina Sandys for a recreation of the day’s activities when Sir Winston Churchill made his famous visit to deliver the “Iron Curtain” speech at Westminster in 1946. 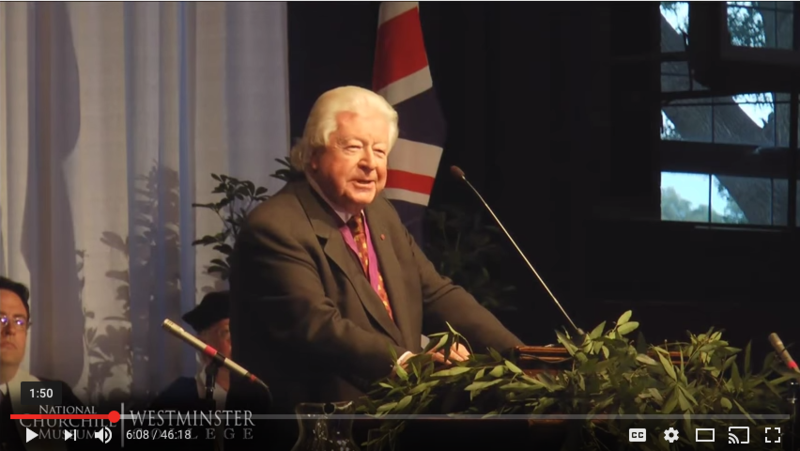 Watch the video to hear Lord Watson’s Oct. 13 speech on “Churchill’s Legacy: A Speech to Save the World,” delivered in the same Historic Gymnasium on campus where Churchill delivered the “Iron Curtain” speech. More about Lord Watson’s visit.